Many people believe that there is a fine line between those who bank offshore and criminals who launder money and evade taxation, but the truth about offshore banking and those who legitimately place assets offshore is that the action of placing money offshore is not illegal, will likely never be illegal and can be of benefit to almost all of us! The word ‘offshore’ in the financial sense is synonymous in many people’s minds with ‘saving tax’, and while some who bank offshore are legitimately entitled and able to save tax by having interest paid on their savings before the deduction of tax, there are many more real benefits available to those who choose to open an offshore bank account. For a start the tax saving advantages of the offshore world are really only available to a few people who are usually expatriates, non-resident in a high taxation country and with tax liability in a country where taxation is low or even non-existent. However, the asset protection benefits, personal privacy advantages and the potential to access better account structures and services are available to the majority of us when we choose to bank offshore. Even Americans, British and Europeans can potentially benefit in one way or another from opening an offshore bank account. But before I continue to explain the advantages we can all potentially reap from offshore banking, it’s important to mention that placing assets offshore without informing one’s relevant tax authorities can be illegal and that before one makes any significant decisions or takes action relating to finances, qualified independent financial advice should always be sought. Many offshore jurisdictions in this day and age are regulated heavily to protect investors and to prevent money laundering, which can afford those who bank offshore a greater degree of confidence and security. Furthermore, many jurisdictions have strict guidelines covering maintenance of client privacy which can further afford those seeking personal and asset protection with assurance that their identity and transactions will remain confidential. And when it comes to protecting assets from potential unfair litigation, offshore structures such as bank accounts and trusts are often used. 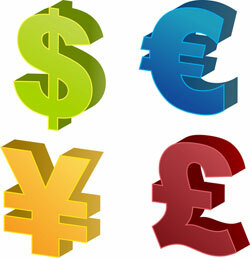 Another significant advantage of an offshore bank account is the fact that such structures are usually far more flexible and accessible, pay better interest rates, often have lower charges and can offer those who regularly travel for work or pleasure the flexibility they need from a bank account through which they can transact in multiple currencies and to which they can have access from anywhere in the world. Therefore, the truth about offshore banking is that it can offer many real benefits to many real people! Rhiannon Williamson writes about the offshore financial world. To find out more visit http://www.shelteroffshore.com.